The Direct to Flashgun Bracket for Strobo Light Modification System from Lastolite offers you creative options by allowing you to mount accessories in front of a shoe-mounted flash. 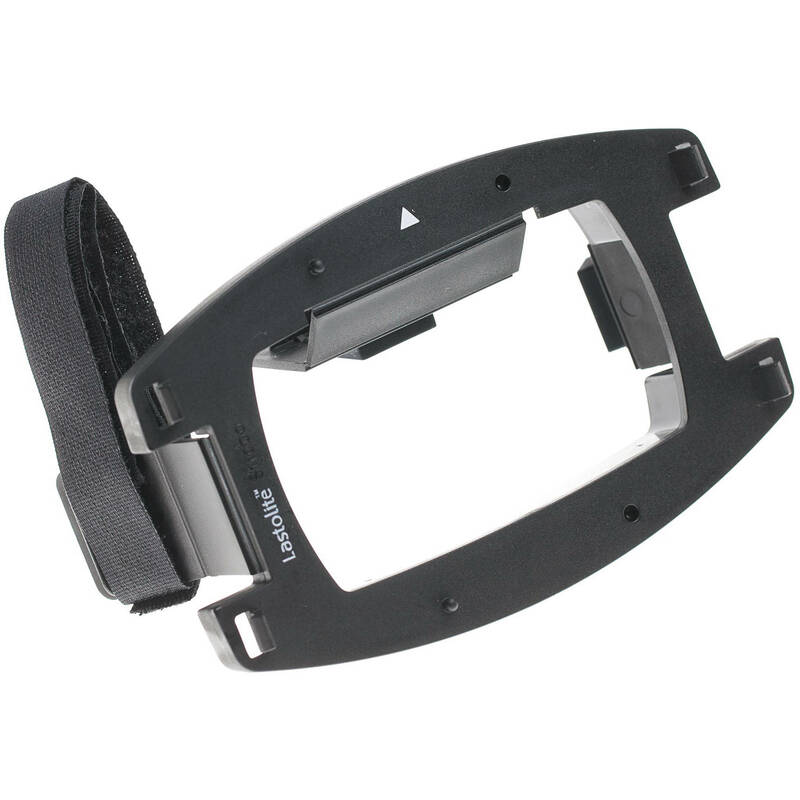 The bracket attaches to most flash heads by using a stretchy strap with hook and loop fasteners. Once attached, magnetic connection points provide quick mount/dismount access for light-modification accessories. Box Dimensions (LxWxH) 11.15 x 7.5 x 2.15"
Direct to Flashgun Bracket for Strobo Light Modification System is rated 5.0 out of 5 by 1. Rated 5 out of 5 by Pat from Great accessory This is a great little attachment for speedlights to be able to quickly add a grid or gel. I have been experimenting with it in the studio and assume it will also be quite useful in the field.